Most players understand that the casino holds an advantage in blackjack. 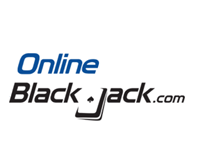 This advantage is known as the house advantage or house edge, and is usually under 1% in most blackjack games, provided players play using the optimal basic strategy under the rules of the game they’re playing. What does the house edge or advantage mean? It is an expression of how much of each unit wagered that the casino can expect to win on average. In other words, if the house advantage is 1% and you make bets of $100, you can expect the casino to win $1 for every bet you make over the long run. The results of doubling down, splits, blackjacks and everything else are included in that calculation. Obviously, no bet in blackjack would cause you to lose exactly $1 on any given $100 bet. However, if you played tens of thousands of hands, or looked at the aggregated results of thousands of customers playing at the casino, you would see that the casino was coming out ahead by about that 1% margin. This assumes of course that everyone plays perfect basic strategy. The reality is that casinos make more than that because of players that don’t know about basic strategy or prefer to gamble and bet with their gut when they are feeling lucky. Not surprisingly, different blackjack rules can have an impact on the size of the house edge. Some rules variations are beneficial to the player, while others increase the casino’s advantage. The following is a rundown of how different rule changes can affect the house advantage. Credit to The Wizard of Odds for their excellent analysis of how rules affect the casino’s advantage. All rule changes and their effects are rated against a typical game with the following rules: a blackjack game with an eight deck shoe, where the dealer stands on all 17s, the player may double on any two cards, the player can double down after splitting, and the maximum number of hands the player may split to is four. This game would have a house edge of about 0.45%. Remember, the lower the house edge the better. So negative values below are better for the player while positive values are better for the casino. One of the biggest rules variations between various casino blackjack games is whether the dealer stands on all 17s, or hits on soft 17s (an Ace with another card or cards that total up to 17). The common rule of standing on all 17s is actually better for the player. However, in most cases, casinos are more likely to eliminate player options rather than give players a helping hand. Here are some rule changes that limit what the player can do, and their associated increases in the house advantage.